New for winter 2009, are the Snow Bunny counterparts to the original Harajuku Lovers fragrance line. Love, Angel, Music, Baby, and G have undergone makeovers for those oh so chilly winter months, and, being one who loves to bundle up in the cold, I love seeing these perfume dollies dressed like me. Harajuku Lovers fragrances are available at Sephora. Take advantage of the friends and family sale, and snag one (or all) for 20% off! 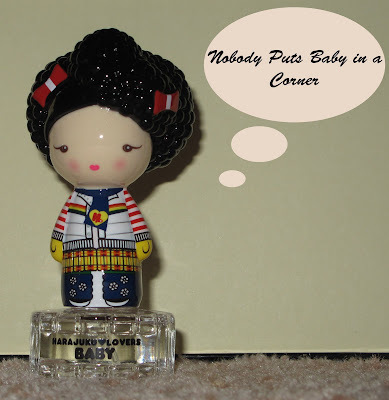 Have you tried the Harajuku line of fragrances? If so, which one is your favorite? ← Achieving the Perfect At-Home Manicure, and a Giveaway!